The proprietary and cutting-edge research carried out by the author led to outcomes that shed new light on management practice and strategy. The 7 Keys presented in this book, when implemented, will produce immediate results and long-term enhanced performance. You will be privy to what the author has learned about the changing workplace and the role leaders play in maximizing their workforce. You can fill an organization with all the intelligent and highly educated people you want, but without the right culture and discipline, your chances of success are in doubt. 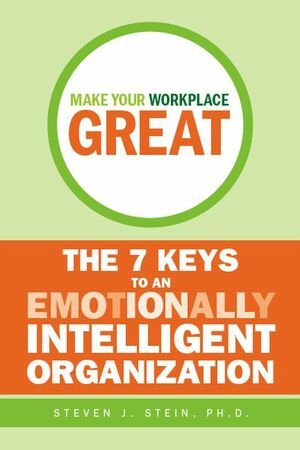 Use this book to see how your organization measures up to the 7 Keys and implement the necessary changes to make your workplace a happier and more productive one. Hire capable people who love the work they do and show how they contribute to the bigger picture. Don't overwork (or underwork) people. Build strong teams with shared purpose and viable goals. Make sure managers can manage. Treat people with respect and leverage their unique talents. Be proactively responsible by doing the right things to win the hearts and minds of your people. STEVEN J. STEIN is a clinical psychologist and the founder and CEO of Multi-Health Systems Inc. (MHS), a leading psychological test-publishing company and three-time Profit 100 winner (awarded to the fastest-growing Canadian companies). He was formerly the director of research at a large treatment center for children and adolescents, and is the Past-President of the Ontario Psychological Association and Chair of the Psychology Foundation of Canada. Dr. Stein and his team at MHS have tested the Emotional Intelligence (EQ) of more people in the world than anyone else.Dr. Stein previously held the rank of Assistant Professor in the Department of Psychiatry at the University of Toronto and taught in the Psychology Department at York University (Toronto). He is a leading expert on psychological assessment, and has consulted with the Canadian Armed Forces, the U.S. Air Force, FBI, and special units of the Pentagon. He has also worked with numerous corporate clients, including American Express, Air Canada, Coca Cola, CIBC, as well as several professional sports teams. PART ONE: WHY OUR WORLD—AND THE WORK WE DO—WILL NEVER BE THE SAME AGAIN. 1. Changes in Society and Their Impact on Work. 2. What Keeps CEOs Up at Night? 3. What Do We Really Know About Job Satisfaction and Productivity? 4. 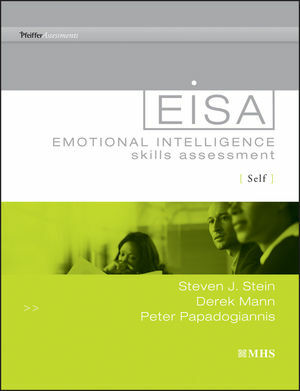 Emotional Intelligence and Organizational Culture: A New Relationship. 5. Selecting the Right People: Round Pegs in Round Holes. PART TWO: WHAT TO MEASURE AND HOW TO FIX IT. 6. Taking the Organization’s Temperature. 7. Job Happiness: Don’t Worry, Be Happy. 8. Compensation: Show Me the Money. 9. Work/Life Stress Management: I’ve Been Workin’ Overtime. 10. Organizational Cohesiveness: We’re All in This Together. 11. Supervisory Leadership: You’re Not the Boss of Me. 12. Diversity and Anger Management: It’s a Wide, Wide World – Take This Job and Shove It. 13. Organizational Responsiveness: Big Brother Is Looking Out for You. 14. Putting It All Together – Organizationally, That Is. Appendix: The Benchmark of Organizational Emotional Intelligence (BOEI).